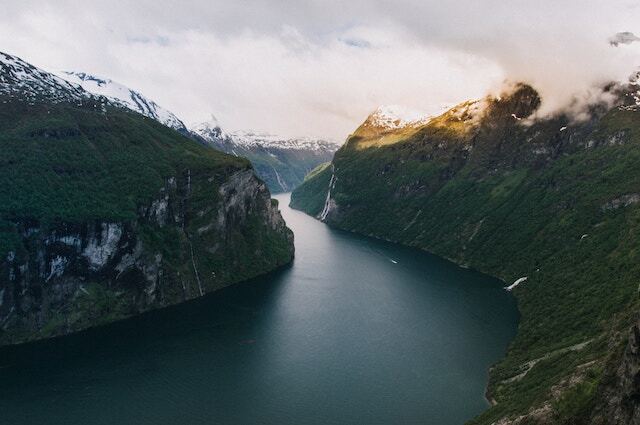 If you have a travel wishlist, the fjords of Norway are most likely on it. This Scandinavian country is one of the most beautiful, but also, one of the most expensive places to visit in Europe. However, believe it or not, there is a way to see and experience the fjords of Norway without going bankrupt. The tips below will help you save some money and fully enjoy the trip at the same time! The first step is actually getting there and getting around. There are many different ways to cut the prices of your transportation. Let’s talk about air travel first. If you plan on traveling through the rest of Norway as well, not only the fjords, consider buying the Explore Norway Ticket. This gives you the opportunity to fly as much as you want inside Norway for a period of 2 weeks. You can use the Ticket in July and August, which happens to be a great time to see the fjords. For more information on prices and dates, visit the Widerøe official website. Also, try to choose local airlines such as Norwegian, for a much cheaper ticket price. You can also look up for cheap flights on Momondo. 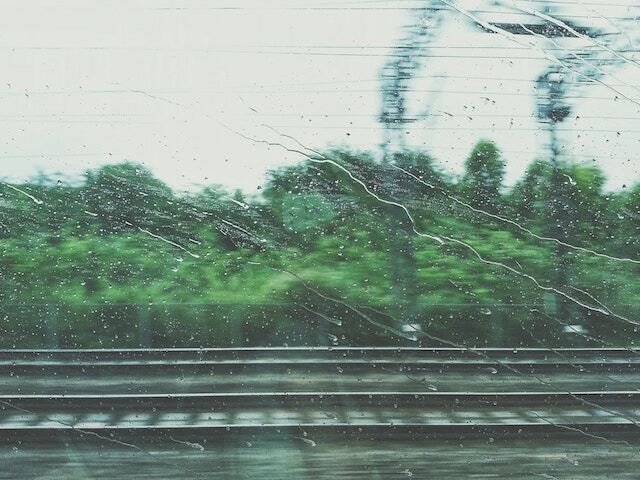 Train travel is very popular among tourists. Not only because it’s not as expensive, but also because many routes take you through the most picturesque parts of Norway, fjord areas included. Make sure you plan ahead, so you can score some extra discounts. For example, every month, at off-peak times, you can buy Minipris (“mini-price”) tickets. They will take you from Oslo to any Norwegian city for 30-40 euros. Therefore, you can go to Bergen, which is rightfully called the “gateway to the fjords”, without spending a fortune. Wherever you choose to travel, food is always a large expense. When it comes to Norway, it can even consume the biggest part of your budget if you’re not careful with where you spend your money. It’s extremely expensive to eat in Norwegian restaurants, so if you’re trying to save up, avoid them completely. Our recommendation is buying groceries in local supermarkets and cooking your own food since this will make a huge difference. Some of the low price stores are REMA 1000, Kiwi and Rimi. The good news is that tap water is good to drink all around Norway, so buying bottled water won’t be a problem. However, if you buy anything in a plastic bottle, remember you can return the bottle and get some money back! Little by little, you’ll end up saving some much-needed cash. If you’re an active person, the fjord regions are a perfect opportunity for a hiking holiday! Instead of spending hundreds and even thousands of euros on boat tours, choose this much cheaper approach. Wherever you turn, you’ll see photo-worthy views and you’ll be able to admire the fjords from a different standpoint. Even if you’re not the fittest or if you’re traveling with children, you can enjoy some of the more gentle trails. Find your perfect hiking trail here. We recommend Mount Skåla, Norway’s highest mountain with its foot in the fjord, for more experienced hikers. Even though it’s very difficult, it would be a shame to miss it. You’ll know why when you see the stunning fjord and glacier landscapes everywhere around you. A fun fact is that the tower built here was once a sanatorium, which shows how therapeutic these views can be. 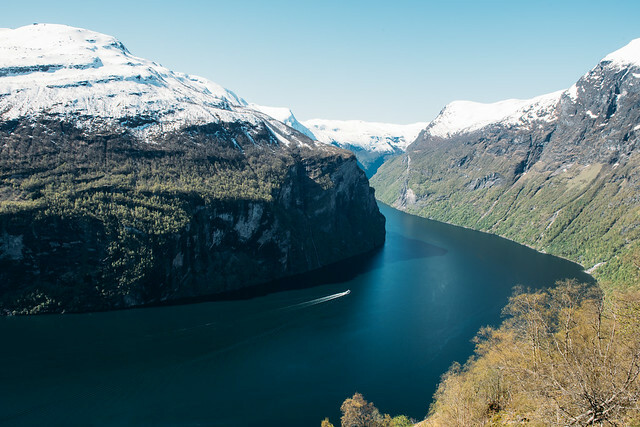 Other than that, consider visiting Nærøyfjord (a UNESCO World Heritage Site, as well as the narrowest fjord in the world) or Trolltunga, which you might recognize from photos you’ve seen online. Depending on what you’re into, there are a couple different options when it comes to accommodation. The biggest advice is same as everywhere else – avoid large hotels and try to book in advance. If you like or don’t mind camping, Norway is perfect for it. There’s something called “freedom to roam” or “allemannsretten”, which means you can put up a tent anywhere in the countryside or mountains, as long as you keep at least 150 meters away from the nearest inhabited house. This means that as long as you have a tent and necessary camping gear, you won’t have to look for campsites, you can sleep anywhere in nature for free! Also, there are over 500 lodges and cabins along the trails all over the country. They are the property of the Norwegian Trekking Association. If you’re a member of the Association, you’ll get a discount, but you can use them even if you’re not. You can choose between self-service cabins, no-service cabins, and staffed lodges. You’ll have everything you need in all of them (firewood, gas, duvets, pillows), but there are certain differences such as the possibility of serving meals in staffed lodges. You can find the necessary information about the cabins on their website. Booking.com is another good place to take a look at accommodation options. Couchsurfing is another option. You might meet some friendly locals who will give you even more tips on how to spend less and see more. And who’s more trustworthy than a local? Don’t forget to check these 9 quintessential Norway experiences as well! Living in a big city can often be stressful. I always felt drawn to nature and would love to live close to the mountains and woods and explore them regularly. In Norway, you’re given free access to the countryside – if you don’t litter! So you can enjoy the gorgeous Norwegian scenery and breathe in the fresh air – as long as when your escapade is finished, you pick up your rubbish. Outdoor recreation is a part of their cultural identity and is established by law. The right to roam or the right of access (“allemannsretten”) is a traditional right from ancient times, and from 1957 it has also been included as a part of the Outdoor Recreation Act. Now everybody gets to experience nature, even on privately owned areas. 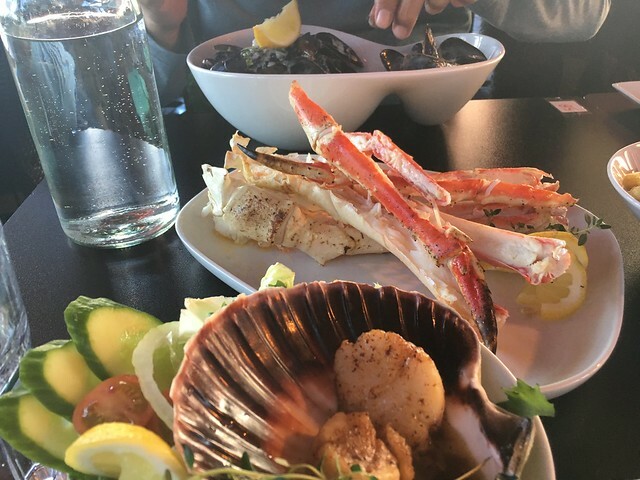 When you think of Norway, you might not think of fantastic food – but that’s where you’re wrong and no worries, I’m here to educate you. If you consult any travel guide they will recommend you the “fårikål” or “sheep in cabbage”. It’s traditional as it gets, every fall many Norwegian families prepare this dish and serve it with potatoes. If you love cheese, you should try Norwegian goat cheese which is brownish and its taste described as caramel with a sharp edge to it. It’s strong and specific, so it’s definitely worth a try! Far as the sweets go, Norwegian’s go to is a heart-shaped waffle. Coincidentally, in all honesty, one of my favorite breakfast foods are waffles so I’m delighted. What’s better than a regular waffle? A heart-shaped waffle! No squares here! As mentioned above I always felt drawn to nature and living in a big city can often feel rushed, stressful and noisy. Some countries are simply, way calmer compared to others and the economic standard and a way of life have a lot to do with that as well. Norway is a pretty large country by European standards with a modest population size. The low population density means there are vast areas of untouched nature. Just imagine yourself roaming the beautiful wilderness of Norway with your significant other and enjoying it completely alone sole for each other’s company. 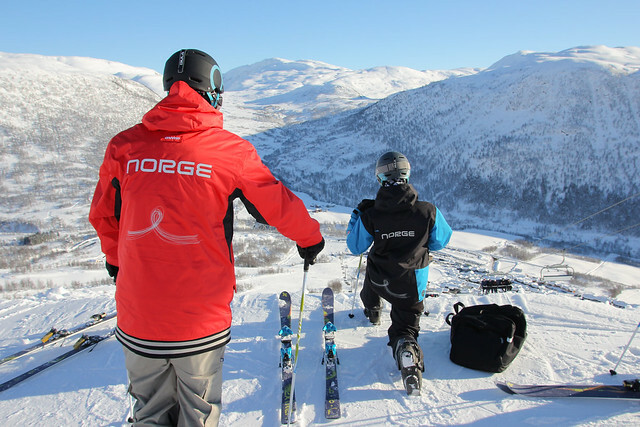 The village of Voss is very famous to every real adrenaline junkie. The Extreme Sports Week is being held annually in this picturesque village. Wherever you turn you’re met with mountains, lakes, cliffs, rapids, and glaciers. At this meetup of daredevils, you can see base jumping, mountain biking, paragliding, whitewater kayaking and kitesurfing. If you’re thirsty for more action, just visit Oslo. The city is dubbed as the “winter sports capital of the world”. It’s very admirable how far Norwegians have developed sustainable tourism and I’m always for supporting a good initiative. Norway is one of few places that are certified as a sustainable destination. It takes years of work demonstrating their lasting commitment to providing the best possible experiences for their guests while keeping the negative impact of tourism to a minimum. The destination must work to improve its practices and relations with the local community, in accordance with sustainability principles. Norway offers some of the most scenic drives in the world. Driving along the fjords is on my bucket list (alongside watching northern lights in Svalbard). One of the best rides is Aurlandsfjellet route between Oslo and Bergen which passes through the country’s most famous attractions. If you think beer is not good enough reason to visit a country well then you haven’t had a good beer! Although Norway is ultra-restrictive on buying alcohol, in the past few years there has been an increasing number of microbreweries producing various types of craft beer. The microbreweries in Norway are popping up literally every month everywhere and picking up multiple international awards along the way! Nowadays when you enter a Norwegian pub you’ll be given a vast assortment of choices between brands and styles of beers! So pick your poison! Will it be a milky stout, an IPA or will you dare to try a sour? 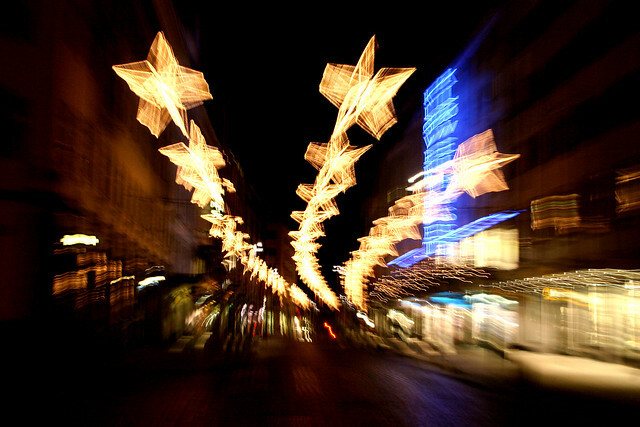 Christmas in Norway, is a festival of light — a promise of longer days and the return of the sun. Just imagine that for weeks when it’s high noon that it feels like twilight and that it’s already dark by 4 p.m.
A highlight (pun intended) of the season is on the feast day of Santa Lucia, the “Queen of Lights”. Supposedly it’s a young woman born of wealthy parents, who went from one farm to the next, dressed in a white gown with a red sash. To light her way, she wore a crown of lingonberry twigs with lit candles and carried a torch, as she brought baked goods to each house. On Santa Lucia Day, there’s a row of girls led by one dressed as the “Lussibrud,” wearing a white robe and a crown of lights. The girls carry baskets of saffron buns, called Lussekattor, to hand out. Norwegians are not very religious so even during Christmas, you see no Christian elements in the holiday decorations. The whole celebrations have more pagan elements. It is a unique and magical experience in its own way. Svalbard is your best bet to experience the northern lights or go on a dogsled excursion. If you’re not impressed by the northern lights (not possible by the way), you will surely be blown away by the midnight sun phenomenon. Svalbard is scarcely populated which lets nature run its course freely without the menacing hand of man. You will be able to enjoy earth-shattering glaciers and landscapes that you won’t believe your eyes. If you’re in Norway, Svalbard is a must. If you’re going for the first time, then of course, I suggest focusing on more traditional sightseeing and if you’re short on time then definitively opt out for one of many Norway tours. If you need help finding cheap accommodation in Norway check out this resource. Do you have any other quintessential Norway experiences to add? Let us know in the comments below. Do you want to plan a trip to Svalbard in Norway and don’t know where to start? Well, you’ve come to the right place! Cez and Agness of eTramping are here with their invaluable travel experience and are ready to share it with everyone. Fix up a cup of cocoa for the right mood, and get ready for a good and informative read. Planning a Svalbard expedition is not as easy as packing for a trip to say, a local forest or resort. There’s more to it than knowing what to pack and what sights to see. As much as anyone would like this, you can’t make an impromptu visit to Svalbard. Our best advice before the trip? Go camping and hiking as much as you can. It’s a great way to stay in shape for when you’re at the Arctic Circle. Here are some tips for hiking in the cold weather. Next – save up. Prices are as steep as one might expect from Norway (maybe even more). Finally – be mentally prepared for how many “wow” moments you’ll have! Not everyone has the funds to organize their own private boat trip. 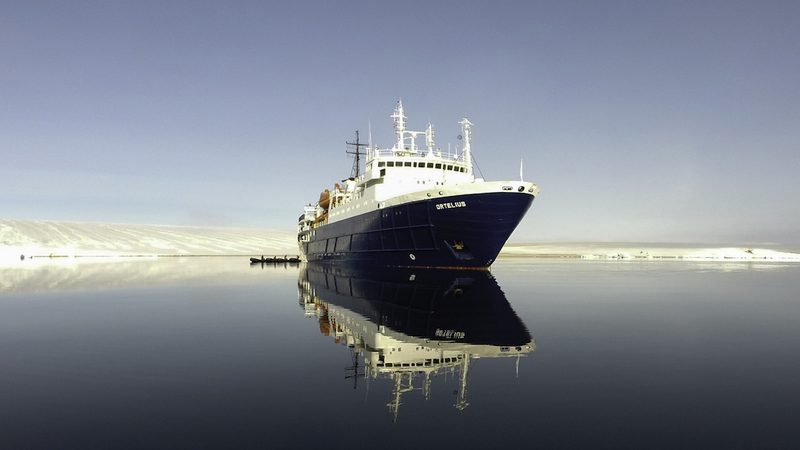 As such, you’ll most likely join many other polar adventurers on a Svalbard cruise. However, don’t just look at the ship amenities, as tempting as they may be. What you’re looking for is a highly maneuverable vessel. You wouldn’t want to skip out on a whale sighting just because the ship can’t turn around in due time. Keep this in mind when you plan a trip to Svalbard and don’t want to miss a thing! When you plan a trip to Svalbard, you have to remember the extreme weather conditions you’ll be facing. Wool socks are a must, with plenty of replacements in case of emergencies. By the way, don’t try to wear more than one pair thinking it’ll provide extra protection. More often than not it just stifles blood flow to your feet, negating any protection. Also, bring a pair of rubber waterproof boots along with your warm pair. 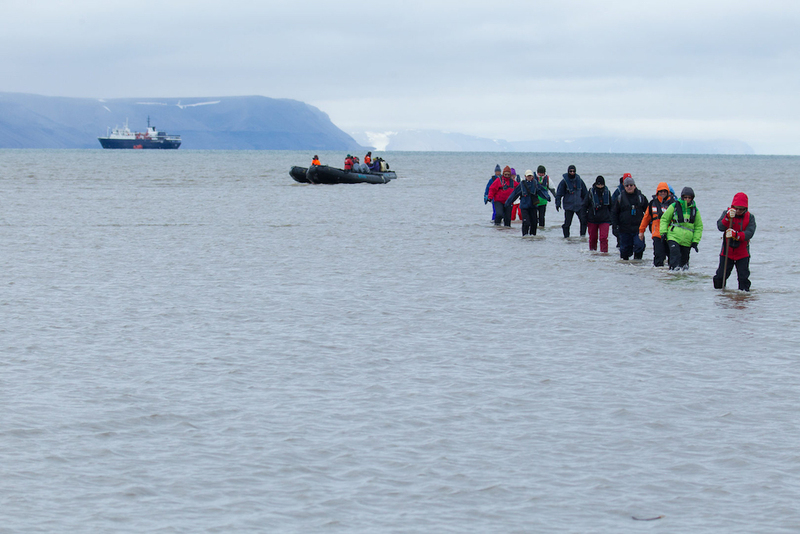 On your Svalbard trip, you may need to debark using an inflatable boat. Since there are not many docks, you might need to get your feet wet in shallow waters to get ashore. There are people brave (or crazy?) enough to swim in the area. You, on the other hand, probably won’t set out on your Svalbard expeditions wearing nothing but socks. Besides the blistering cold winds and melted snow getting everywhere, you need to protect against the Arctic sun as well. Who would have thought you need to bring sunscreen to the Arctic, eh? Not every traveler going on a Spitsbergen trip will be in peak physical condition. After all, we don’t spend our time training for our holidays like it’s a military expedition. 🙂 In any case, if you know you have some kind of condition – don’t forget your medication. You would be surprised how many travelers forget this in the heat of the moment, so to speak. Similarly, it might be a good idea to get some preventive medicine (such as for seasickness, or a sneaky cold) even if you’re in tip top shape. Spitsbergen cruises are excellent occasions to spot some of the most amazing wildlife this world has to offer. Unfortunately, your cruise ship might not always get the best angles on whales, walruses, or other giants. Even if your eyesight is 20/20, nobody should plan a trip to Svalbard without packing a pair of binoculars along. Don’t rely solely on your camera’s zoom function. Remember what we said in the beginning – that when you plan a trip to Svalbard, you should be financially prepared. Mainland Norway is expensive in its own right, but the extreme conditions in the Arctic means there will be extra fees. Sure, most of your time will be spent on a Spitsbergen cruise or some well-equipped museum in Longyearbyen. (You can really lose yourself in those museums!) But what then? Your options are expensive full-service hotels, budget guesthouses – or camping and self-catering if you’re feeling adventurous. Whatever your choice, budget properly or you’ll be left in the cold (quite literally). Don’t head blindly into your Spitsbergen expeditions without a clear-cut plan in mind. Not only will you miss out on tons of fun activities, but you might go over-budget. Especially when you realize there’s something you just HAVE to see. Our primary recommendations include the Svalbard and North Pole Expedition museums in Longyearbyen. You might want to bring an English guidebook along as well. Most of the information will be in Norwegian, even though everyone on the island speaks English fluently. Otherwise, the jaw-dropping Magdalenfjord, the haunting Soviet city of Pyramiden, and the Nordvest-Spitsbergen National Park should be included in your visit. Of course, you can also let someone do the planning for you if you’re not sure where to start. Oceanwide Expeditions, for example, have step-by-step guides to minimize downtime and maximize the fun. Must keep that blood flowing in the cold North! When you’re not making the rounds on Svalbard cruises or boat rides, you’ll mostly spend time in Longyearbyen, the abandoned Soviet city of Pyramiden, and other such fantastic places. What you should know is that there aren’t that many paved roads in the area, so car travel will be minimal or non-existent. Fortunately, a Spitsbergen expedition will give you the chance for some dog-sledding or snowmobile rides. Those will be your primary methods of transport; aside from your own two feet, that is. 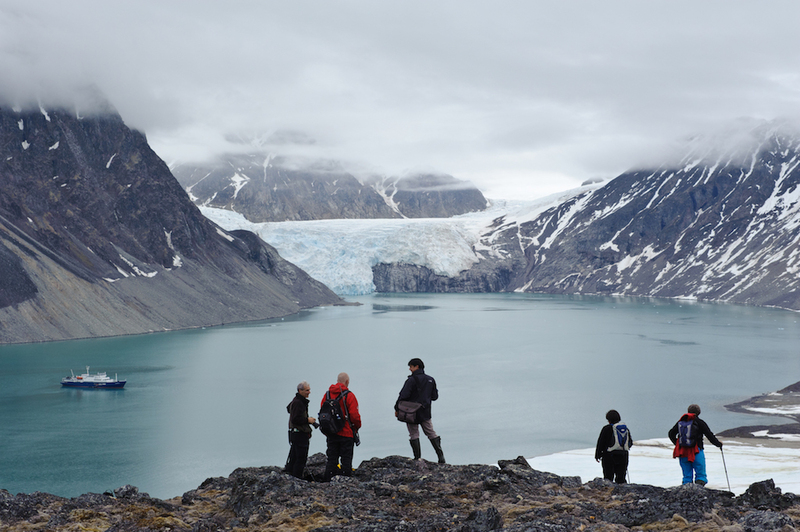 Never plan a trip to Svalbard without having a plan B (maybe even a plan C) in your itinerary. It’s not uncommon for touristy Spitsbergen trips to get canceled while you’re already there. The weather in the Arctic is unpredictable, so you shouldn’t be disappointed if something doesn’t go as planned. Fortunately, if you’ve followed our advice thus far you should have no problems braving the North like many polar explorers before you. What other tips do you have to plan a trip to Svalbard?